Since you just got your hands on a new Apple Watch, you're excited to use it and test out all of the features. It's almost guaranteed that you're spending much more time on it now than you will after you get used to it. For that reason alone, your battery is going to drain much quicker than usual, at least in the beginning. Of course, excitement over a new toy is not the only reason for the battery to deplete quickly. After spending three months with the Apple Watch Series 4, I now easily achieve two full days of battery life from a single charge. Out of everything that drains power on the Watch, the display hits it the hardest, by far. If you want to save a lot of battery life, you need to reduce how much power the display drains. The Apple Watch features an OLED display. While we aren't going to get into a big technical discussion here, in an OLED screen, each pixel illuminates itself. A black pixel will use barely any power compared to one that is actively in use. 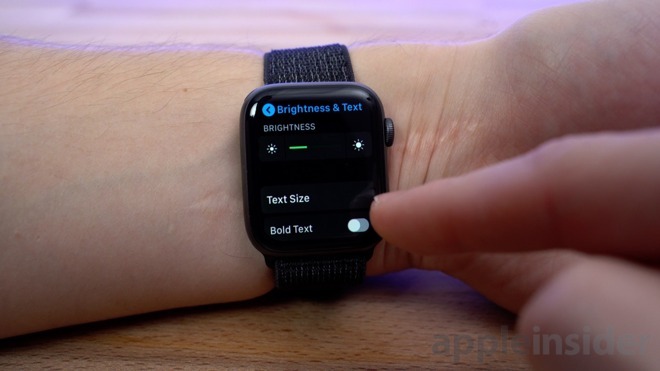 So if you want to increase battery life, don't use a full-screen watch face like the Photo face or fullscreen Nike+ watch face, or even the white background version of the chronograph watch face. Most of the time, use one with as much black space as possible to save battery life. Another sure way to preserve the battery is to lower the brightness of the display. Tap the crown to see your apps, then tap Settings and scroll down to brightness and text size. Reduce brightness, but only as far as you feel is acceptable to see the screen's contents. You can also save battery life by adjusting the Wake Screen settings, by disabling Wake Screen on Wrist Raise and Crown Up. You can also scroll down to the bottom of the same set of settings and make sure the display will wake for only 15 seconds instead of 70. If you don't want to mess with those settings, you can simply use theatre mode instead. From your watch face, swipe up from the bottom of the display to access your control center, then scroll down and enable theatre mode. This will basically turn on Silent Mode and keep the screen dark unless you tap the screen, press the crown or press the side button. If you're actually in a theatre, you can scroll up on the crown to slowly turn up the brightness of the display. Wherever you stop, your brightness will stay at that same level while using the watch. You can also save battery life by minimizing the number of notifications you get. There are two ways to disable notifications you don't urgently need to see. When you get an unimportant notification, swipe left on it and tap on the menu icon, then tap "turn off" on Apple Watch. Another way to do this is to go to the Watch app on your iPhone, then go to Notifications and scroll down to the Mirror iPhone alerts section. There, you can disable app notifications you don't care to see on your Apple Watch. A lot of iPhone apps also offer a Watch app, which uses power on your Apple Watch to make sure data is synced between both apps. If there are any Apple Watch versions of apps you don't need, you can uninstall them by going to the Watch app on your iPhone, scrolling down to the "Installed on Apple Watch" section, tapping into an app and disabling it. Complications on your watch face that constantly refresh to show up-to-date information use extra power, so ditching any unneeded auto-refresh complications can slightly improve battery life. 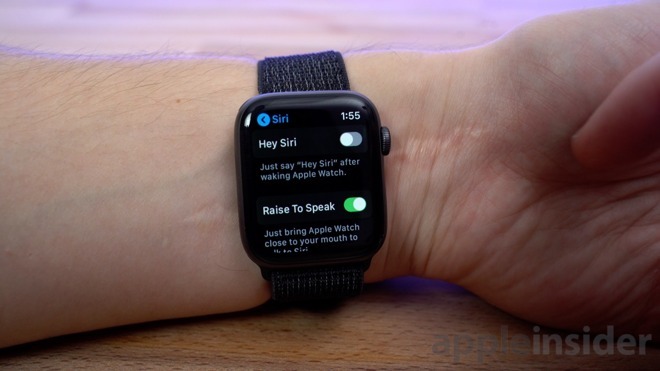 Apple Watch includes the "Hey Siri" feature, which does use a little bit of power by constantly listening for that command. If you don't use it, you can disable it by going to Settings, General, and Siri. 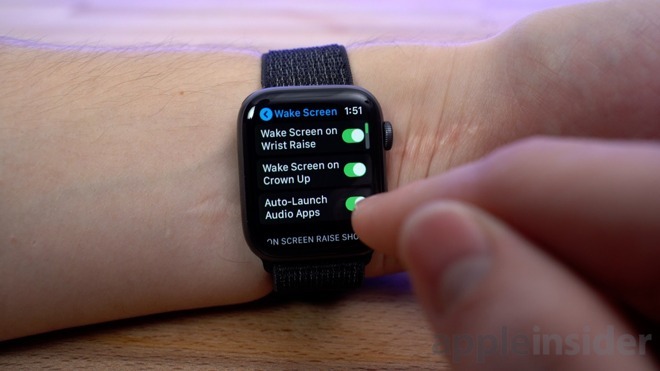 With watchOS 5, you can simply use Raise to Wake instead. If you scroll down, you can also lower Siri's respond volume, further improving battery life. If you're one who doesn't care much for heart rate data while on walking or running workouts, you can turn on Power Saving mode by going to Settings, General and Workout. Calculations for energy burn may be less accurate than normal, but you'll be saving some battery life in exchange. Another sure way to save battery life is to lower the volume of alerts by going into the Sound & Haptics settings. You can even turn on silent mode if haptic feedback is enough for you. 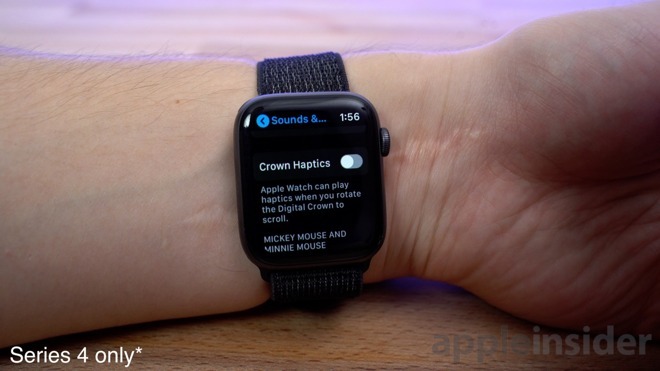 If you scroll down, you can also disable Crown Haptics. 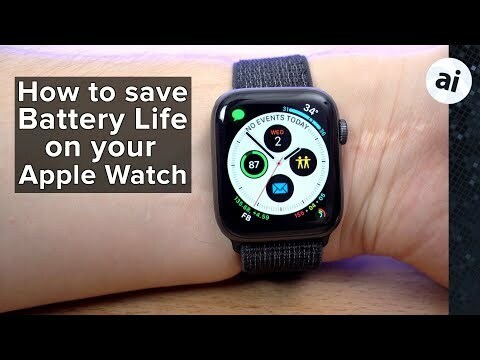 If you've tried all of the above and still find the Apple Watch battery draining incredibly quickly for no good reason, there are a couple more things you can do. First of all, make sure you're updated to the latest software on both your iPhone and Apple Watch. To update Software on your Watch, go to the Watch app on iPhone, then General, then Software update. If that doesn't solve the problem, reboot the Apple Watch by pressing and holding both the digital crown and side button at the same time, until the Apple Logo shows up. It may also be worth trying to unpair and re-pair your Watch. 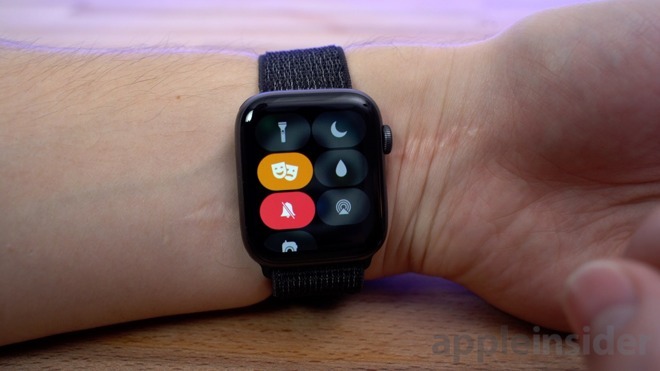 Go to the Watch app on iPhone, then tap the Apple watch at the top of the screen, tap the 'i' icon next to your watch, tap Unpair and confirm. Re-pair your Apple Watch to the iPhone in the same way as you first set it up. If you're still having issues, check for any suspicious apps that may be causing excessive battery usage and uninstall them. Also, make sure Bluetooth is always enabled on your iPhone, since having it disabled increases battery drain on your Apple Watch. 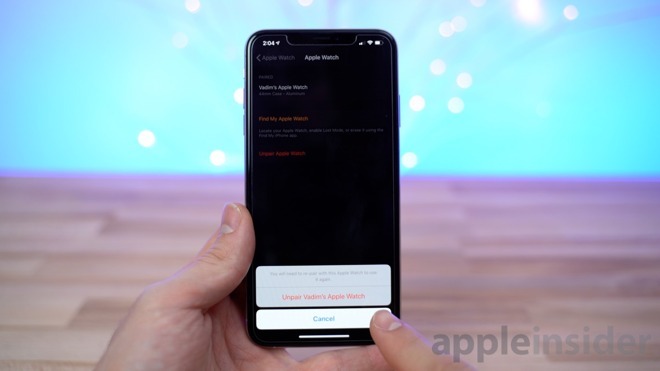 Finally, if your battery does drain down to 10 percent battery life, you can enable Power Reserve Mode, which basically shuts everything off except for a clock, boosting your battery life significantly. To do this, bring up your control center, tap the battery percentage, and then drag the appropriate slider. To turn off Power Reserve, simply press and hold the side button until you see the Apple logo and wait for the Watch to restart. 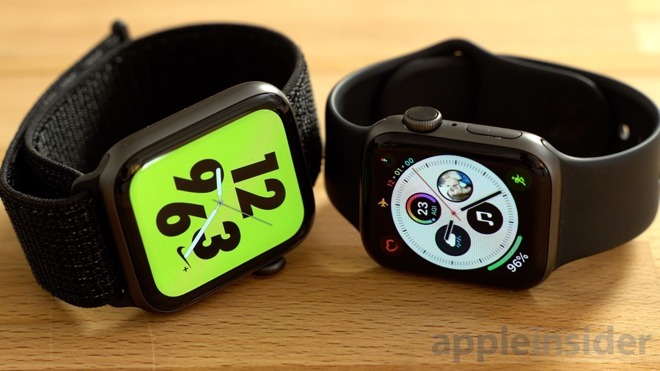 Both Apple Watch Series 4 and Series 3 devices are currently on sale with discounts of up to $350 off. For the latest deals and product availability, be sure to check out our Apple Watch Price Guide. Or charge every night and use the watch for all the reasons you bought it. Interesting. I never knew that setting was there. I wish there was a setting for how low the screen should stay on when you raise your wrist. I never, ever use tap-to-wake so this setting is irrelevant to me. At least now I know that if I don't want the screen to shut off after just 5 seconds, I can tap it to keep it on for over a minute. I suggest that no one needs to change this setting to 15 seconds however. If you notice, as soon as you put your wrist down it shuts off the screen automatically, regardless of this setting. 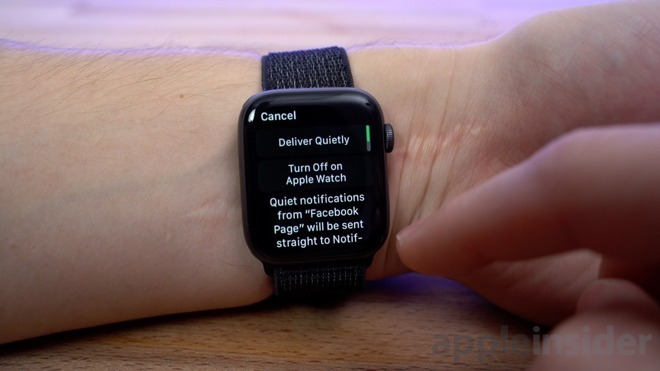 So the only way changing this setting would save you any power is if you have the odd habit of tapping your watch and staring at your watch and want it to shut off after 15 seconds rather than until you're done staring. Another sure way to save battery life is to lower the volume of alerts by going into the Sound & Haptics settings. You can even turn on silent mode if haptic feedback is enough for you. I expect this is the least "sure way" to save power. I would be surprised if all the beeping in the world represented 1% of battery consumption no matter the volume. I take a shower at night -- during this period of time (and ~30 minutes after), I charge my watch. Then, I put it on before I go to bed and enable Theater Mode. In the morning, I disable Theater Mode. Rinse & repeat -- I record nearly my entire day (vs. charging while I sleep and missing ~7 hours data). Note: most days, I record a workout (which uses more power), and -- even then -- I still very rarely ever get down to 20%. I will tell you this, if you plan to drive any long distance like 3 to 5 hours you better put the watch in theater mode, the simple act of having your hands on the steering wheel and turning the wheel cause the display to light up constantly and this will kill your battery in no time. I have make this complaint to apple for the last 3 years and they have yet to fix this, since they have so much move data they should be able to tell the difference between driving and just walking or raising our hand to see the watch, which does not work well, many times I raise my hand and it does not turn on. But it turns on all every time I turn the steering wheel with my left hand. This article is way lame!!! Lemme see....let's have Apple design all these cool features for us to make daily use of....then have some guy who thinks he knows better....tell us to shut off all those nifty features and use a watch that can only tell the Time??? WTF???? Yeah, i can do the same thing if i put my arm on the door rest and not on the steering wheel, I tend to drive my cars with both hand on my steering wheel at all times, except when I am shifting. I have taken a number of long trips and every single time the battery is dead after only 10 hours of use in a day. Every time i turn the wheel or move my hand from 8 to 10 on the wheel I can see the watch on in the window reflection. Any other time I get a full 20 hours even when I go to the gym and have it monitoring my work out. On my Series 4, I changed it to wake the screen when tapping the screen rather than lighting up each time o move my wrist towards my face. Also, mine is cellular. I found that it was sometimes using the cellular network rather than pairing to the nearby phone. A simple reboot fixed that. He kind of blew right over the biggest complaint of battery life: Those of endurance athletes -- which is a primary marketing target of the Apple Watch. In most cases those are runners -- but it also includes cyclists and others. Their problem has been that long runs drain the battery and the watch dies before they're done with their exercise -- which makes the watch garbage from their point of view. While battery life has improved, it is still not great and has a reputation of not being able to make through a complete marathon race. The suggestion here is to simply turn off the optical heart rate sensor -- which saves battery but also disables one of the main things endurance athletes use to monitor and analyze their exercise -- which makes the watch worthless to them. What he failed to mention was: turning the optical sensor off enables the watch to use a bluetooth chest strap to continue monitoring and tracking heart rate. For many, that is an old fashioned, unacceptable solution. But, it does work and it does enable the watch to both make it through a long exercise session and monitor heart rate.